Having turned her own novel Sweetbitter into a six-part drama for US premium cable network Starz, Stephanie Danler tells DQ about the adaptation process and why television today is following in the footsteps of Charles Dickens. From the moment US cable network Starz revealed it was developing a six-part drama called Sweetbitter, it’s fair to say the production has been on the fast track to broadcast. That first announcement came in July 2017, three months before the series got the greenlight last October. Filming wrapped before Christmas and the show subsequently launched on air earlier this month. 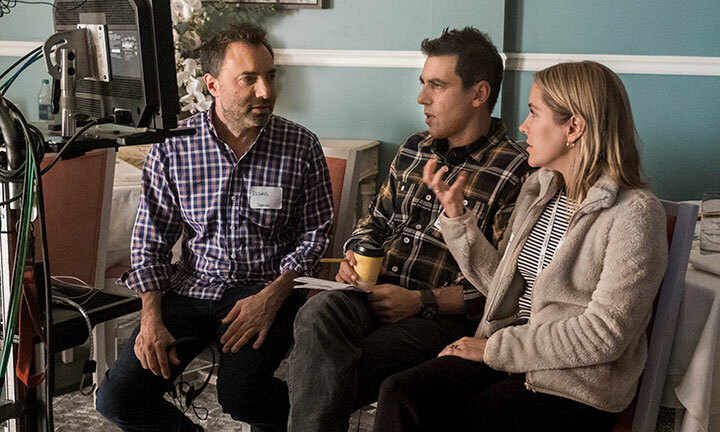 Seeing the show’s debut marked the end of a whirlwind few months for Stephanie Danler, the author of the book on which the show is based and an executive producer on the series. She also wrote two of the six episodes, including the pilot, and has been heavily involved in its development alongside showrunner Stu Zicherman (The Americans, The Affair) and Brad Pitt’s production company Plan B Entertainment. Starz distributes the show, which is now also available in the UK and Germany, after Amazon added Starzplay to its Prime Video Channels line-up, alongside other series such as Vida and Boss. It wasn’t the author’s original intention to shepherd the project into production but she admits her fingerprints are all over it, having worked with Zicherman to rewrite every script to ensure continuity. 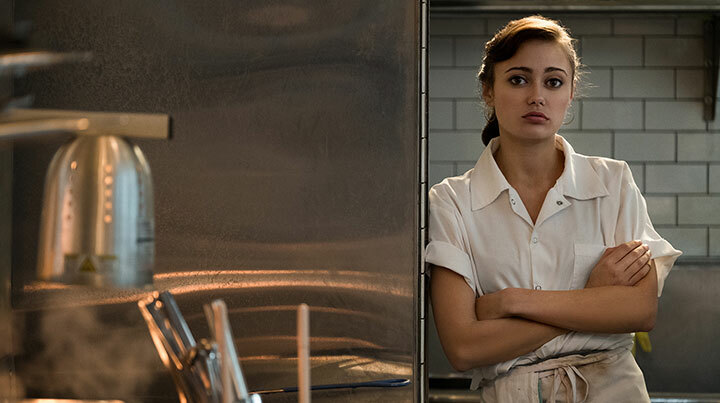 Sweetbitter follows 22-year-old Tess (played by British actor Ella Purnell) who, shortly after arriving in New York City, lands a job at a celebrated downtown restaurant. Swiftly introduced to the world of drugs, alcohol, love, lust, dive bars and fine dining, she learns to navigate the chaotically alluring yet punishing life she has stumbled upon. This coming-of-age story is set against the rich and grimy backdrop of exclusive restaurants, conjuring a non-stop and high-adrenaline world evoking the possibility, beauty and fragility of being young and adrift. Danler wrote the novel, which is largely based on her own experience, during her two years at graduate school. She moved to New York to become a writer but quickly fell in love with the restaurant industry, in a head-over-heels fashion similar to Tess in the series. Then after seven years working in the city, she went back to school and wrote Sweetbitter, which she says is based on characters and events from different restaurants where she worked, in locations as diverse as California, Colorado, Ohio and New York. 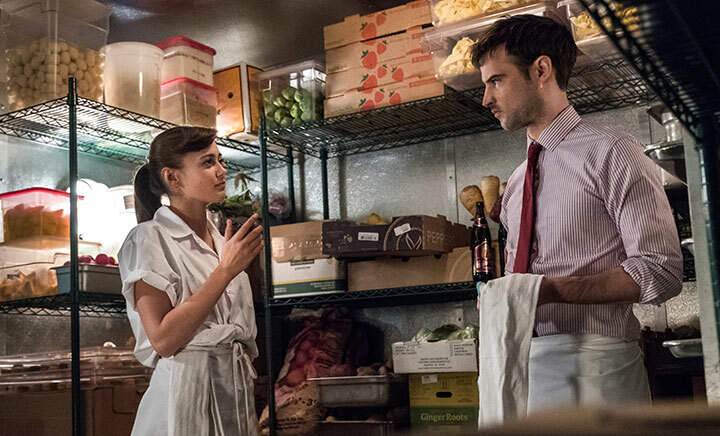 That intensity immediately comes across in the series, from the way the characters taste wine and her co-workers teach Ella how her palette works (creating the mantra “sweet, sour, salty, bitter”), to how the camera lovingly gazes at the cornucopia of dishes being served in the restaurant. With the first season comprising six half-hours of television, Danler found the sense of pacing to be most problematic when writing the pilot. In a novel, the author can skip over details with a single sentence, but viewers watching the TV show want to understand how Tess came to leave her Midwest home and arrive in New York. 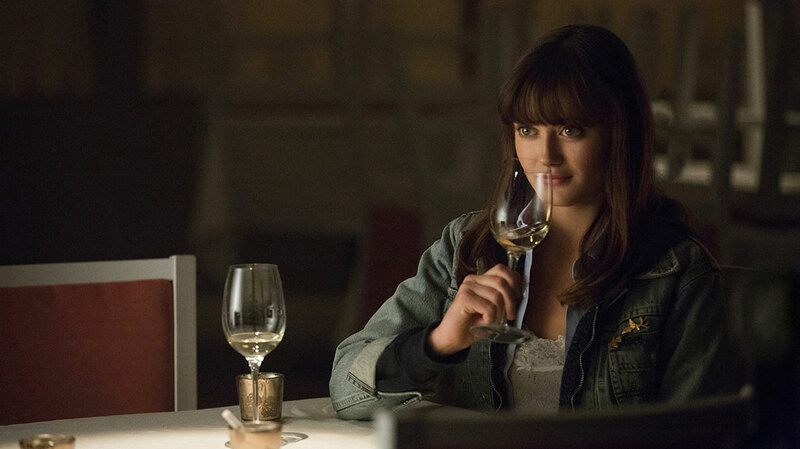 Subsequently, the entire first season takes place during Tess’s training period at the restaurant as she learns about the intricacies of the industry and the myriad characters that now surround her. “The first season is really concerned with how you fit into this family, how you figure out how to live in New York and what it’s like to be lonely,” Danler says, comparing it to the prologue of a novel. “Television is really novelistic now. Our first season sets up a lot and it pays off a lot but we didn’t want to take our characters from zero to 60 in three hours. It felt really unnatural if, all of a sudden, she was doing a ton of drugs and was out drinking every night and really well established in this world. It feels impossible, actually. Ultimately, Danler’s goal is to create an ensemble drama where the focus shifts from Tess, Simone (Caitlin FitzGerald) and Jake (Tom Sturridge), who form a love triangle in season one, to other characters in the series, “from the dishwashers in the kitchen to a guest that comes in and spends $1,500 on a bottle of wine,” Danler adds. “So we’re back in the writers room for season two and we’re really excited.